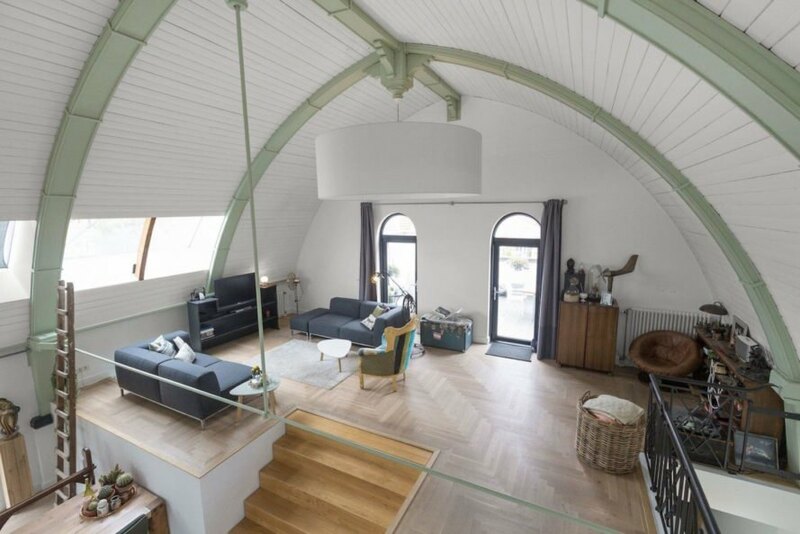 A stunning church-conversion just 15 minutes from Amsterdam has hit the market in Muiden, Netherlands. 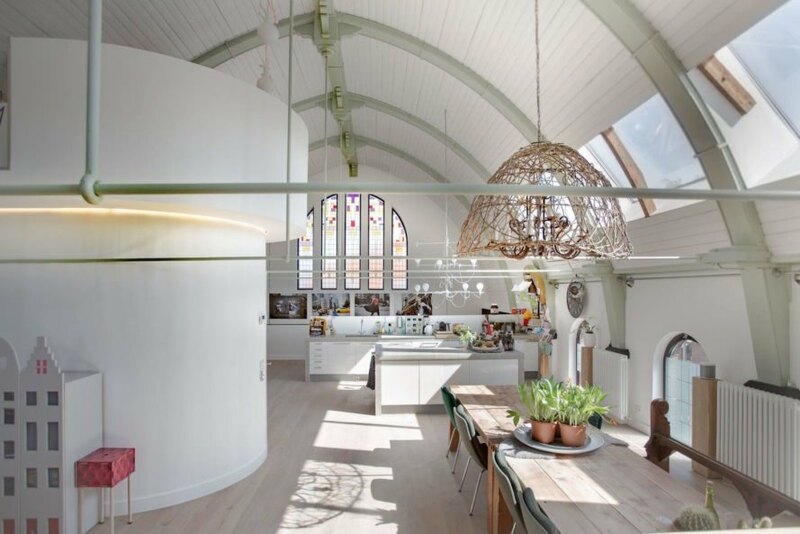 The adaptive reuse project kept its historical 1920s details intact –from vaulted ceilings to stained glass windows—while giving the interior a bright and contemporary revamp. 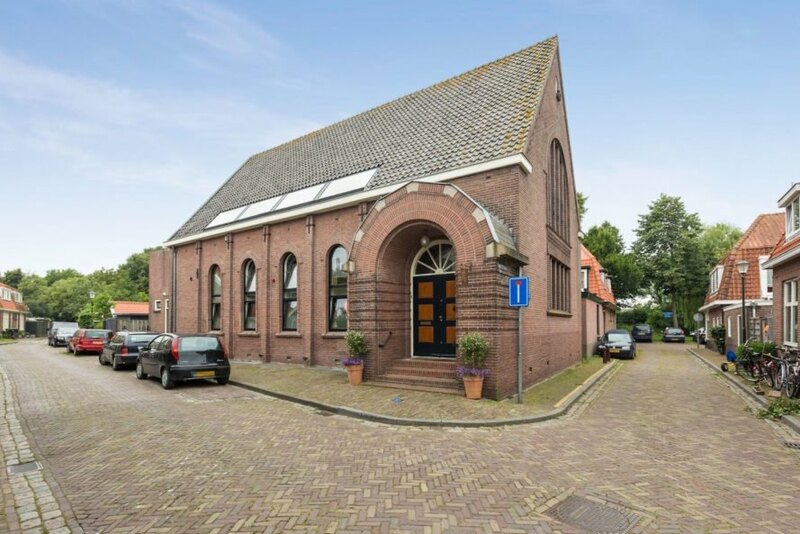 The property, Singelstraat 26, is listed on Sotheby’s for sale—but you’ll have to call in to get the price. 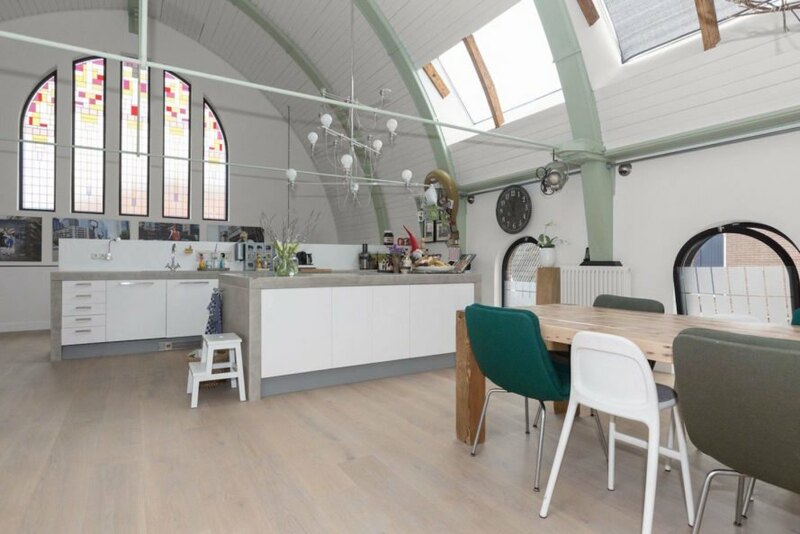 Spread out across two levels, the renovated church offers 290 square meters (3,121 square feet) of living space with five bedrooms and two bathrooms. 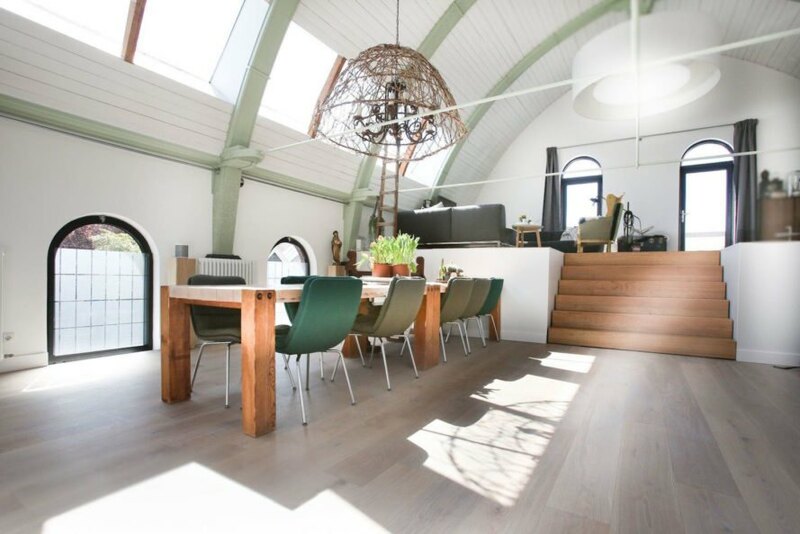 Natural light pours in through arched windows and reflects off whitewashed walls and pale oak floors. 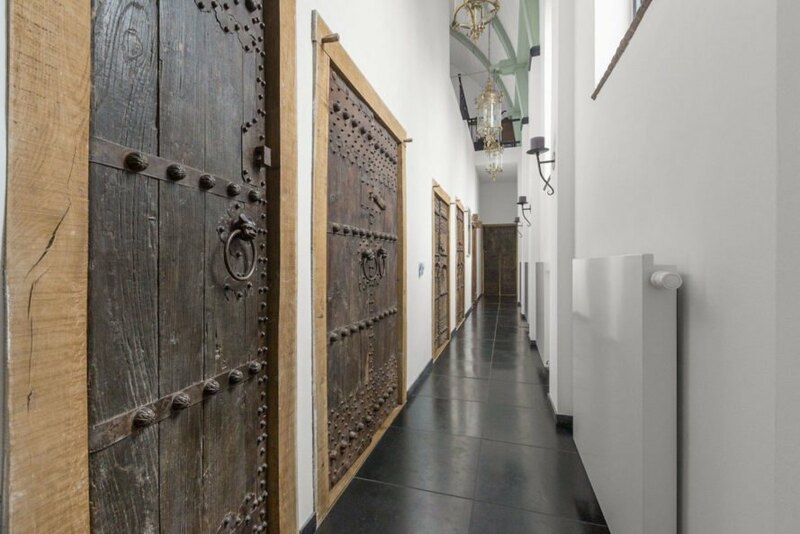 While the interior is undoubtedly modern, the doors to the bedrooms are delightfully antique and made of heavy timber with metal door knockers. 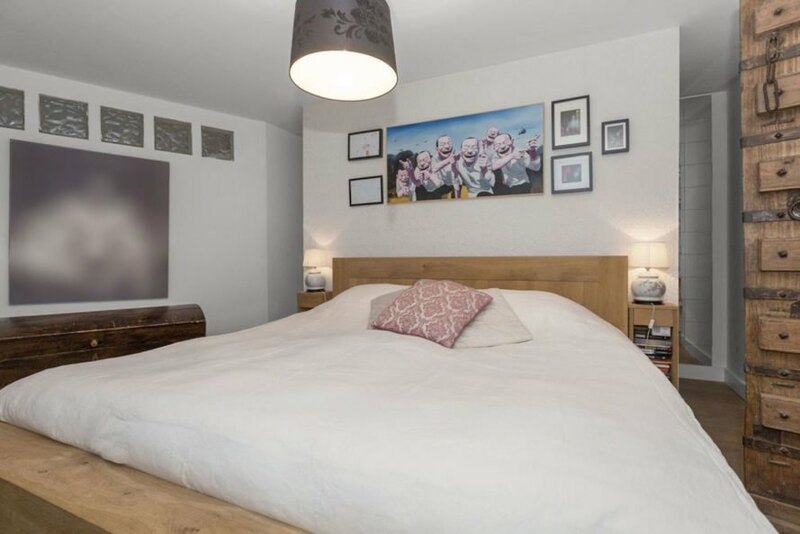 The bedrooms and bathrooms are located down a corridor on the ground floor. The living area, dining room and kitchen are located on the second loft-like level. 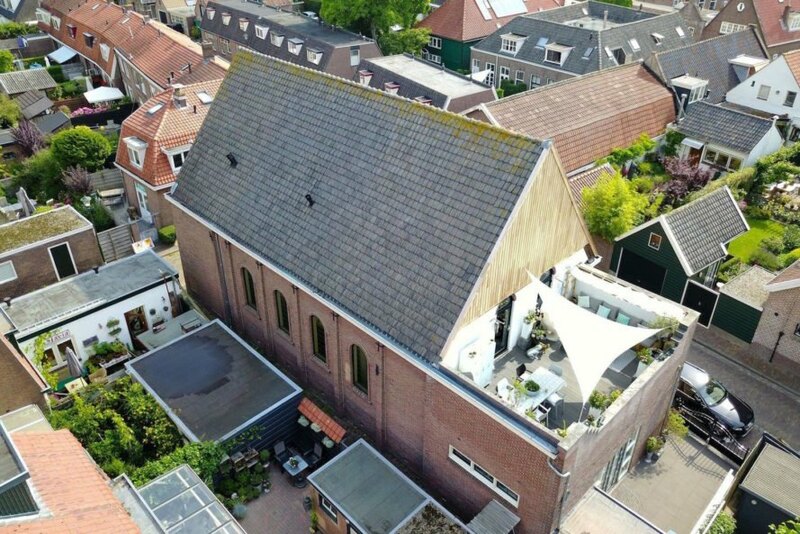 A guesthouse with a separate entrance is located at the rear of the church and is equipped with a sleeping area, bathroom, kitchen, and terrace.